I made my first dish in my Masterbuilt XL Propane vertical smoker. 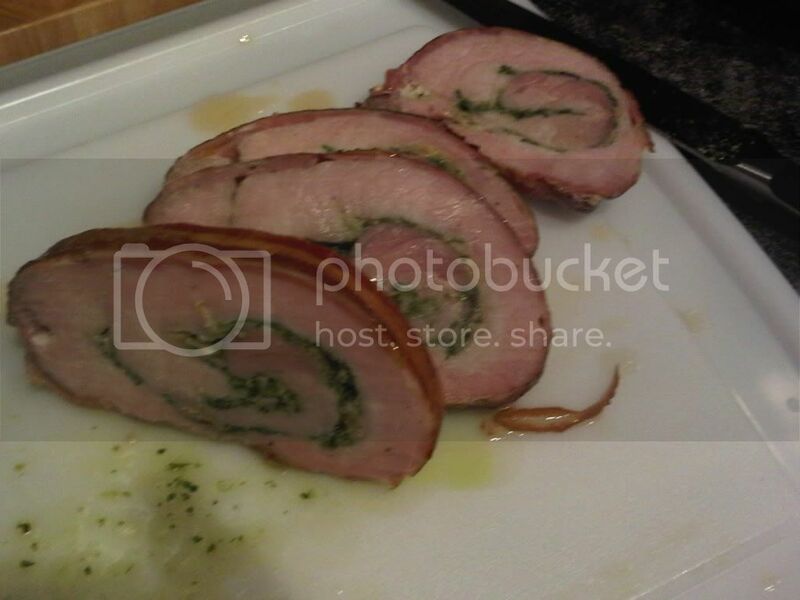 Took a pork Loin and "unrolled" it, gave a generous sprinkle of kosher salt inside and out, slathered the inside with a full head of roasted garlic and then spooned some fresh pesto made with fresh parsley, fresh thyme, fresh rosemary, and fresh garlic (thinned with Extra Virgin Olive Oil) over top of that. 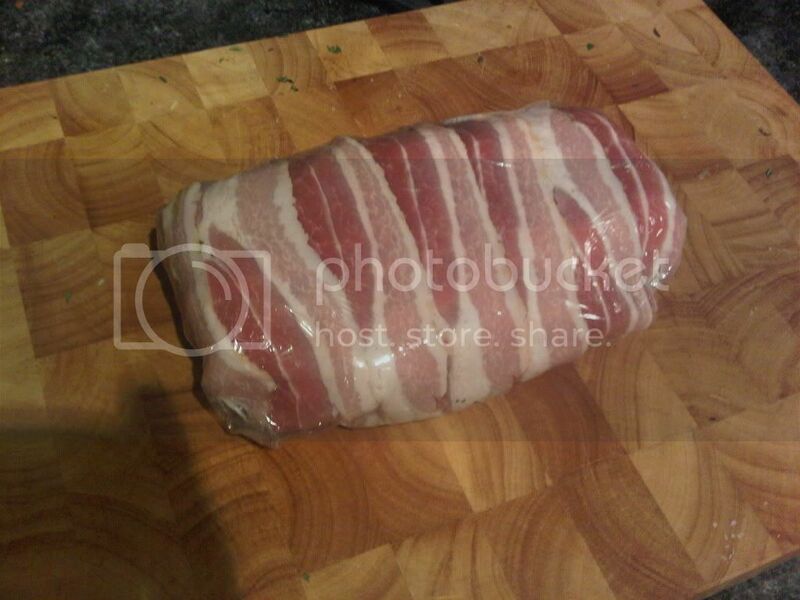 I rolled the loin back up, wrapped it in bacon and refrigerated it overnight. I pulled it out 1 hr before cook time, got the box up to 300* at the grill and let it go until an internal temp of 145* (I tried to maintain that temp, but found it difficult... chilly night, a bit of rain, etc.) Went just under 2 hrs. I pulled it from the heat and wrapped it in foil for about 15 or 20 minutes before slicing and serving to VERY appreciative fans! While I was a little worried through the process, struggling to get the heat up, the result impressed me! This sounds great. 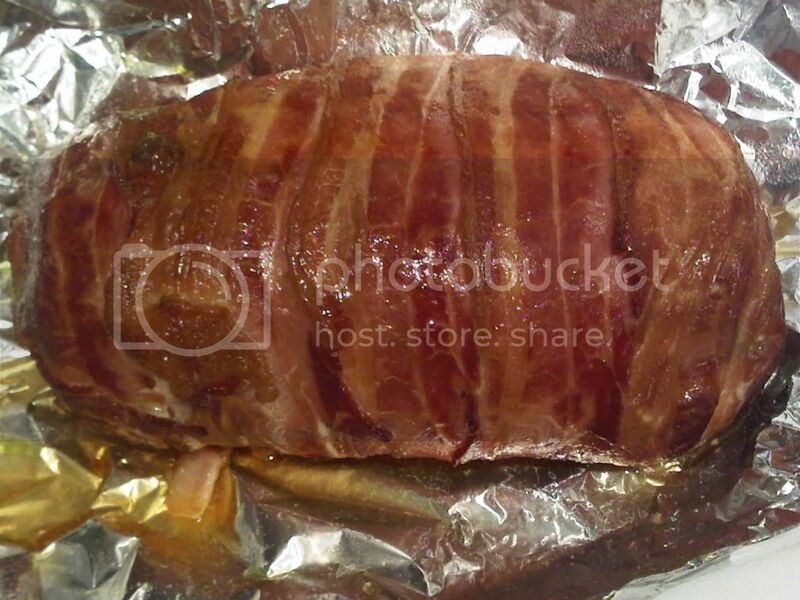 I was a little afraid when I read the title of your thread...thinking, "oh no, he overcooked the loin." It is great to see someone with the culinary fortitude to know not to overcook a loin (145 is excellent).......this does not even go to mention how you treated the loin before smoking! OMG what a recipe! This had to be delicious. No doubt about it. Excellent post (even if there are no pictures!). Here is the Roasted garlic and pesto "slather"
Forgot to mention: smoked with apple chips, and apple juice in the water pan. I'm so thankful God put meat on the earth. I thought the same thing. 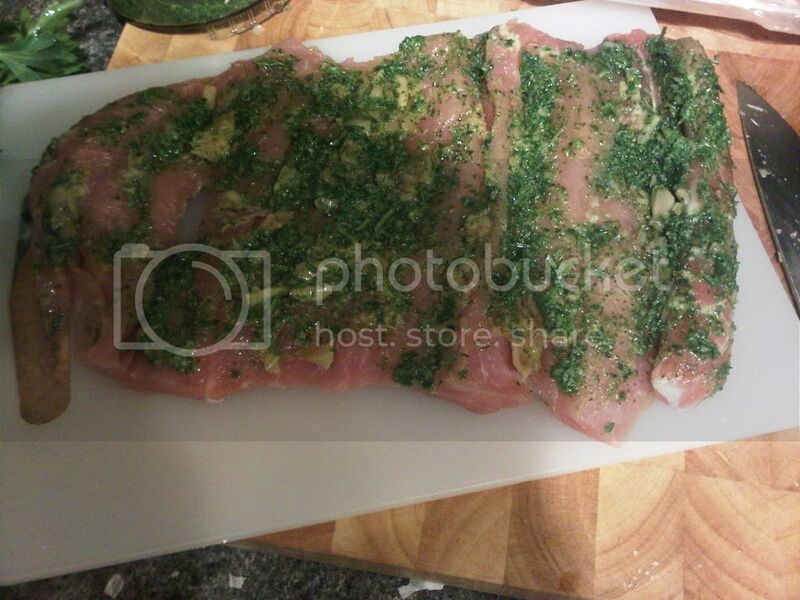 Loin is not a very forgiving thing to smoke for someone who's never smoked before. That looks awesome! I might borrow that recipe next weekend!